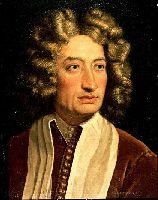 242 scores found for "Arcangelo Corelli " on . By Various. Edited by Helen Marlais. Arranged by Various. For Piano. Succeeding with the Masters. Level: Late Elementary. Book. Published by The FJH Music Company Inc. Arranged by Robert Nagel. For Bb trumpet and piano. Format: set of performance parts (includes separarte pull out piano part). With introductory text. Baroque. 16 pages. 9x12 inches. Published by Marks.